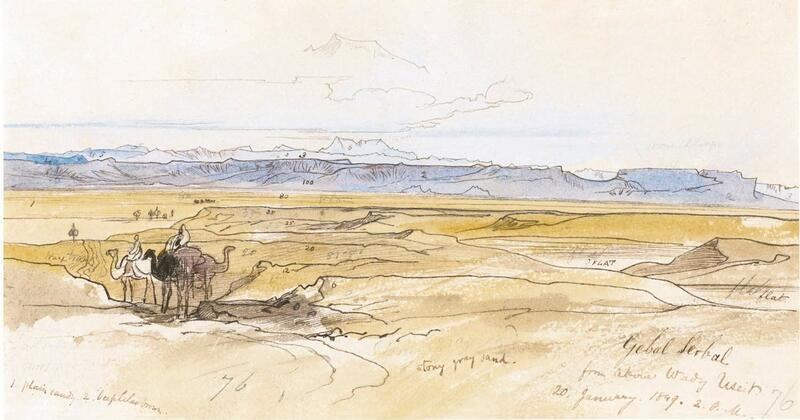 Edward Lear, Gebel Serbal from above Wadi Useit, Egypt. Pen and brown ink and watercolour over traces of pencil; inscribed lower right: Gebal [sic] Serbal / from above Wady [sic] Useit / 20. January. 1849. 2. P.M.., and further inscribed with artists notes. 120 by 225 mm.